Old Mutual Zimbabwe's Group CEO has announced, during the company's half-year analyst briefing, an operating profit of $34.3 million representing growth of 27% for the first half of 2018. Speaking to analysts during the briefing session held today, Mr Jonas Mushosho, Old Mutual Zimbabwe CEO and Old Mutual Rest of Africa CEO, attributes the increased growth in operating profit to strong performances from the Group's banking and asset management arms. 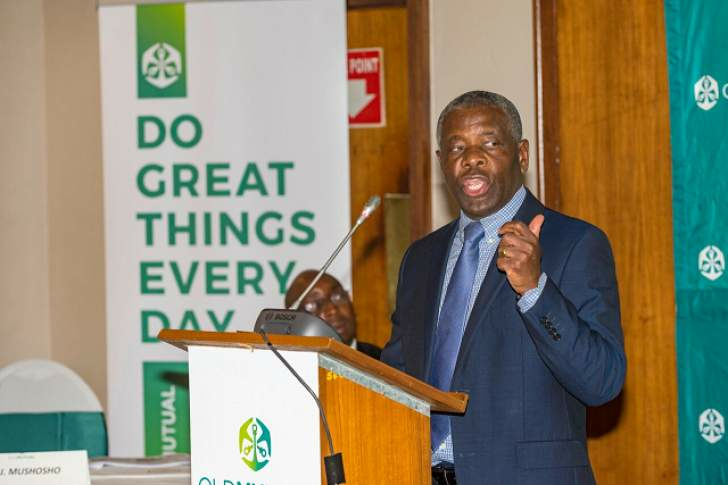 "Old Mutual Zimbabwe's operating profit increased by 27% from $27 million to $34.3 million driven by growth in our banking and asset management profits. CABS' profits were driven by growth in both net interest income and net non - interest income. The asset management's performance was driven by higher fees on the back of growth in funds under management. The strong growth in operating profits highlights the performance resilience of the core business operations, notwithstanding the volatility experienced in investment returns," said Mushosho. During the 2018 half year briefing session, Mushosho also revealed that the diversified financial services company's funds under management had achieved an impressive 38% upsurge to $2.9 billion. "Funds under management for the asset management business went up by 38% from $2.1 billion in the first half of 2017 to $2.9 billion as at 30 June 2018 largely due to growth in net client cash flows (NCCF) and fair value gains on listed equities. As a result of the growth in funds under management, profit before tax for the asset management business increased by 84% from $3.7 million to $6.8 million," he explained. The Old Mutual Group CEO also explained that, CABS, their banking arm, recorded growth in loans which increased by 29%. "Loans and advances grew by 29% to $765.1 million driven by growth in mortgages, salary based loans to individuals and loans to corporates. The banking business recorded a net surplus growth of 25%, to $20.7 million, up from $16.6 million in the first half of 2017. This was mainly due to growth in net interest income on the back of growth in loans and advances and net non-interest income due to the continued use of card based and electronic banking platforms as alternatives to cash." added Mushosho. Lower comparative gains on listed equities resulted in a Headline earnings decline of 40% from 2017 half year figure of $89 million to $53.9 million. The decline reflects a lower investment return on listed equities in the current period compared to 2017. "The decline in Headline earnings by 40% is largely due to the impact of lower fair value gains on listed equities in the current period, particularly on the insurance businesses and the holding company. A number of factors; including but not limited to; investors taking positions ahead of elections and profit taking on signs of possible overheating; led to the local stock market struggling for direction during the first half of 2018. In spite of recent volatility, we believe the stock market will continue to offer a sustainable hedge against environmental risks such as inflation. Equities also provide growth prospects as the environment stabilises." clarified Mr Mushosho. The company also took the time during the half year briefing to announce that they had repositioned their brand through a brand refresh. Old Mutual is an international pan-African diversified financial services company offering investment, savings, insurance and banking solutions.